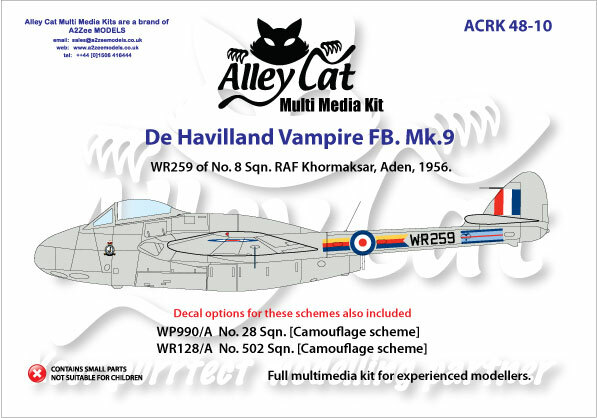 Here is the news of the all new 1/48 scale Multi-Media kit - the De Havilland Vampire FB.5. There are now five boxing covering three versions - the FB.3, FB.5 and FB.9. 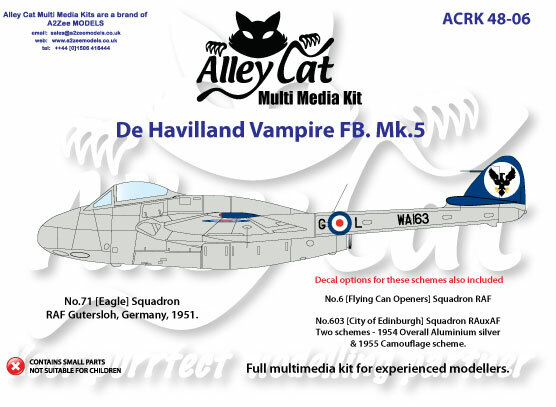 A Mk.1 version will be out in later March. The T.11 will follow a little later, possibly in May. 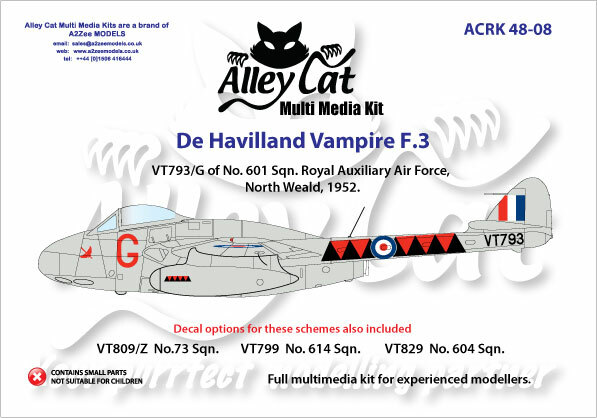 Other countries are and will be worked on, with Norwegian and Swiss Vampires due for release during February and March. The Norwegian and Swiss options will have full stencil data and markings pertaining to those countries and the Swiss will have the 'Pinocchio' nose as an option. 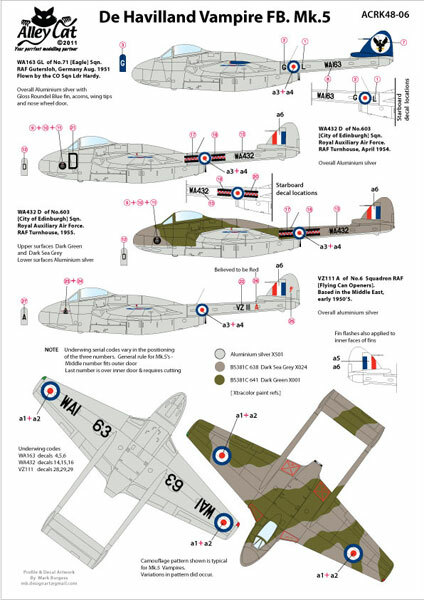 I have been assisted by experts in either country on the markings that being Nils Mathisrud of Vingtor Decals and Robert Schneider of Matterhorn Circle Decals. 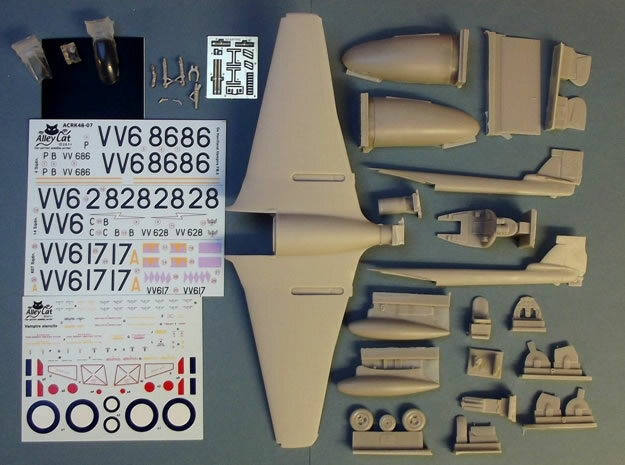 The kits are comprehensive and typically have 26 resin parts, 5 clear resin parts, 10 white metal parts (3 are nose weight pieces not shown), a photo-etch sheet, canopy masks and decals. Everything that you need is in the box - no aftermarket parts are needed. 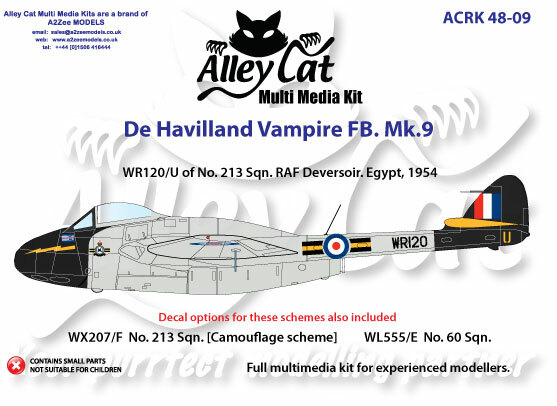 I would like to thank Tony O'Toole for his research and referance material that he kindly supplied for three of the schemes on the decal sheets, those being for 4,6, and 14 Squadrons, all of which I hope will make these releases just a little different to some of the decals that have been produced for Vampire kits before now. 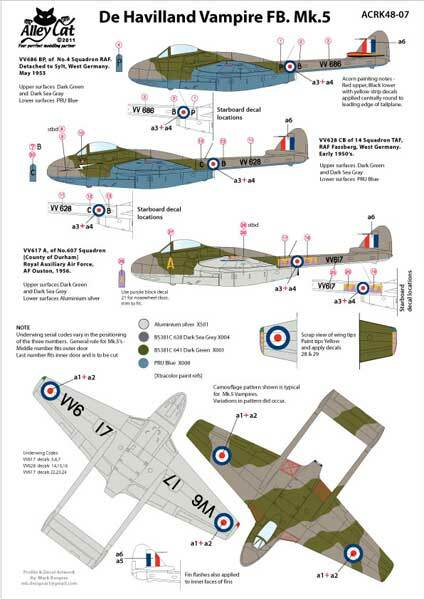 I also believe that once again the talented pattern maker Phil Edwards, has introduced some interesting features to the parts breakdown of the kit to make for easy of assembly. All five kits are now available from the website. 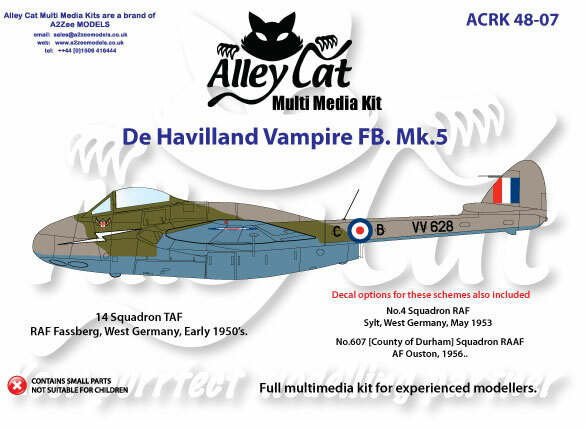 The price of each kit is £45.00 plus shipping.